Is your organization looking to raise some money, but you don’t have any money to put out to organize it? 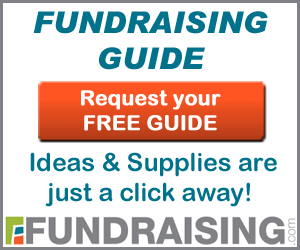 Let Ultimate Donations plan your next Fundraising Event… FREE! Email us NOW to book your date! We’re hosting Virtual Fundraising Events for organizations looking to raise some funds. Your only responsibility is to get participants to the event! It’s no cost to you! By working with one of our consultants, we will set up a virtual storefront where all of your supporters will be able to purchase goods. You can choose from any of our partnered companies. A portion of each item purchased will be donated back to your cause. The more everyone buys, the more your group makes! Once you set a date, your organization’s job will be to promote the event. Contact everyone you can think of to join the event! You can hang flyers, advertise in your bulletin and promote on social media (we’ll even get you started by setting up the event on Facebook for you!!)! There is no money paid out to us at any time. It’s basically free money for your group, so long as they put in the effort to get people to the event to shop. Contact us today if you think this type of event is for your group. If you have any other questions, I’m happy to answer them! January 3, 2016 December 20, 2015 Comments Off!